Beulah P. Sabundayo, PharmD, MPH is a Senior Research Associate in the Department of International Health in the Bloomberg School of Public Health (BSPH) and works with the Center for Immunization Research (CIR) and the Johns Hopkins John G. Bartlett Specialty Practice. Prior to coming to the CIR, she was on faculty in Molecular Microbiology & Immunology within the BSPH and in General Internal Medicine in the School of Medicine, focusing on HIV research on acute HIV infection, adherence to antiretroviral therapies, and patient/provider communication. Since coming to the Center for Immunization Research in 2008, her primary research interests lie in program development, implementation, and management for early stage human vaccine trials. Dr. Sabundayo focuses particularly on vaccines for flaviviruses (dengue virus, Zika virus, and West Nile virus), but has also been involved in trials of vaccines against influenza, respiratory syncytial virus, Ebola, and malaria. She provides training and oversight for members of the flavivirus vaccine team, and, in working with Dr. Anna Durbin, has advanced their dengue virus vaccine from the earliest phase I studies through to phase 2 and 3 evaluation in dengue-endemic settings in Brazil, Thailand and Viet Nam. As a Research Pharmacist, she provides consultation on vaccine studies throughout the CIR, acting as a liaison to the hospital’s Investigational Drug Service, and standardizing treatment algorithms such as anaphylaxis management. 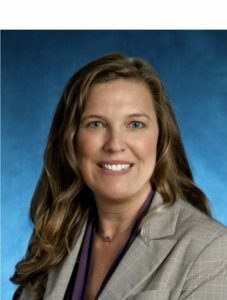 In addition, she manages the Regulatory Compliance Team, which is responsible for communication with IRBs, FDA, Study Sponsors, and other regulatory bodies. In 2002, she founded the Johns Hopkins Hospital Moore Clinic’s Pharmacotherapy Clinic, which is now part of the John G. Bartlett Specialty Practice, where she continues to provide HIV care on a weekly basis. A 12-Month–Interval Dosing Study in Adults Indicates That a Single Dose of the National Institute of Allergy and Infectious Diseases Tetravalent Dengue Vaccine Induces a Robust Neutralizing Antibody Response The live attenuated dengue vaccine TV003 elicits complete protection against dengue in a human challenge model.